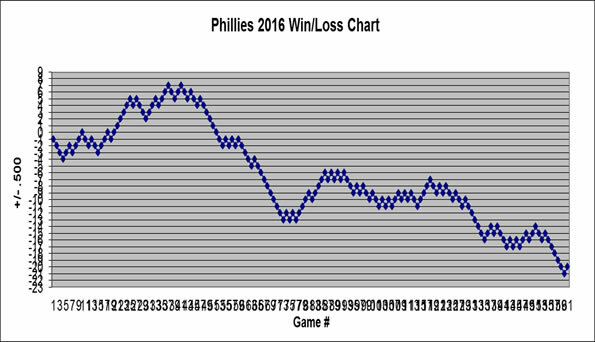 The Phillies finally closed out a disappointing season, finishing with the identical 73-89 as the previous season. It was the organization's third consecutive season without a winning record, and their first last-place finish in the National League East since 2000, despite a franchise-record $180 million payroll. The team drew 2,423,852 fans, a nearly 20 percent drop from last season and its lowest season total since its final year at Veterans Stadium in 2003, when they drew 2,259,948. Bringing back our regular feature on Phils Baseball, here are some Phillies rumors from the past week from the guys at MLB Trade Rumors. They have a page devoted just to Phillies rumors (this is not a paid plug, honest) which we present as only weekly post. Founded in 2009, the Baseball Bloggers Alliance (BBA) is a collection of over 200 baseball blogs across the nation. Like the BBWAA (Baseball Writer's Association of America), the BBA posts their end of the year awards at the end of every season. Member blogs are tasked to choose the top three rookies, managers, and relievers, as well as the top five pitchers, and the top 10 MVP candidates. The final tally for the BBA will be released starting tomorrow with the Connie Mack (Manager of the Year) award. When the Phillies finally announce (or word leaks out) that billionaire cigar guy John Middleton is the majority owner of the Philadelphia Phillies, it should not come as a big surprise. As I pointed in July, an ownership change has likely been in the works for quite some time as the owners prepared for the lucrative TV contract they signed with Comcast last January. One of the best managers in baseball just became available. Joe Madden surprised many by opting out of his contract with the Tampa Bay Rays yesterday. Could the Phillies be in on the Joe Maddon sweepstakes? Phillies Poll Results: Will Ryan Howard be in a Phillies uniform next season? We are sticking with the Ryan Howard theme for the next question. See for yourself along the right sidebar.